Meghan Courtney, Reuther Library archivist, discusses Nelson Mandela’s 1990 visit to the U.S. as well as his long-term relationship with the American Labor Movement during his time in prison and after his release. 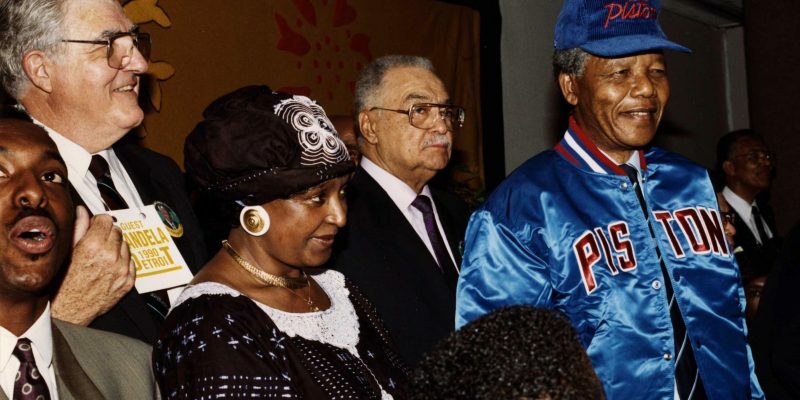 Mandela’s 12 day, 8 city fundraising tour in June 1990 took place just months after his release from 27 years in a South African prison and included visits to the AFL-CIO, AFSCME’s convention, UAW Local 600 and Tiger Stadium. Courtney explores Mandela’s philosophical alignment with the labor movement, labor’s support for anti-apartheid efforts in the U.S., and archival collections at the Reuther Library where researchers might find evidence of Mandela’s friendships and partnerships.